The land down under is experiencing a wine renaissance. From the explosion of thrilling small-batch producers bucking tradition and pushing boundaries, to the rise in quality and restraint from so many of the big names, it’s high time Aussie wine jumps back on the radar. The sheer diversity of grape varieties and wine styles coming out of Australia’s multitude of winemaking regions is astounding. Dive into the red-fruited and floral Grenache from McLaren Vale, or try a peppery, savory, light-on-its-feet Shiraz from one of Australia’s cooler climes, like the Grampians or Heathcote in Victoria. So called “alternative varieties” are huge down under, particularly in the country’s many warm-climate regions, where heat and drought-resistant vines are proving important. Look for Tempranillo, Montepulciano and Sangiovese bottlings, which are becoming more prevalent, albeit still mostly made in quite small production. Chardonnay may be one of the world’s most popular grape varieties, but there’s something special and unique about modern Australian Chardonnay. Gone are the days of ultrarich, buttery Aussie Chard. Today you’ll find more restrained, elegant examples of the grape, with some excellent bottlings coming out of cool climates like Margaret River and the Adelaide Hills. All of these represent a global trend that is especially prevalent in Australia: less is more. This philosophy manifests itself in the form of less new oak, less extraction, less fining and filtering, and less winemaking manipulation like added acid and tannin. In other words, more focus on expressing what’s happening outside the winery than inside it. As a result, Aussie wines are getting fresher and more vibrant, more immediately gluggable and more expressive of their terroir. From racy whites to rich reds, Australia has a wine for everyone, so drink up. From ex-Penfolds winemaker John Duval and made in part from vines over 150 years old, this Grenache offers a complexity and depth. This favors dark fruit on the nose and is chock full of intriguing aromas of cumin, clove, chocolate, sandalwood and mint. The palate offers more of the same multifariousness, with added minerality reminiscent of hot stones and graphite. A pretty nose of lemongrass, lime leaf and a touch of mint are followed by a mouthwatering palate of wet stone, a chalky texture and a long lemony finish. 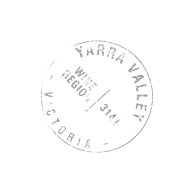 Classic Clare Valley notes of blossoms, lime popsicle and kerosene are all here, along with apple skin and a chalky minerality. The palate offers more of the same and wonderfully balanced acidity, slight spice and a long, limey finish. This is a herbaceous expression of Shiraz from the under-appreciated Heathcote region of Victoria, and made by Emily Laughton, daughter of the well-regarded Jasper Hill family. Mint and green herbs mingle with potpourri, juicy fruit, and charred oak characters. Tannins are tightly wound at the moment, but the wine is well balanced and here for the long haul. Drink 2020–2032. A bit more austere than some of Kilikanoon’s other cuveés, Mort’s Block is in it for the long haul. Still a baby, it currently shows lemon-lime characters, with kerosene and Barbie doll plastic. The palate is linear and supercitrusy. From one of the region’s leading producers and biodynamic rockstars, this wine stands out from the crowd. It offers apple tart, lemon rind and wild mint, with some floral soap notes. The acidity is present but not overpowering, balanced by some textural weight and an attractive citrus and spice finish. This is an easy-drinking style, attractive in aromas of peach, pineapple, pressed yellow flowers, and butter that flow right into a light- to medium-weighted palate. A slightly chalky texture with more tropical fruit flavors carry to a spicy, vegetal finish. The French oak is prominent in this classic blend, but it’s more or less balanced by ripe red fruit, sweet spice and hints of chocolate and smoke. The palate is medium to full bodied, red fruited, and finishes with charred, smokey flavors that last long. New management, farming and winemaking practices at this producer, including a focus on smaller production, are remarkably on display in this delicious white. Golden pear and crunchy apple provide an unctuous, delightfully balanced experience that’s crisp in underlying acidity and subtle baking spice. Spicy plum, berry and herbal aromas cover the bases. This Cabernet Sauvignon-Syrah blend is drawing and pulling on the palate. Raw, spicy flavors of toasty plum and herbs finish with a dominant note of wood spice.